Calling for nothing less than a radical reform of family law and a reconception of intimacy, The Neutered Mother, The Sexual Family, and Other Twentieth Century Tragedies argues strongly against current legal and social policy discussions about the family because they do not have at their core the crucial concepts of caregiving and dependency, as well as the best interests of women and children. 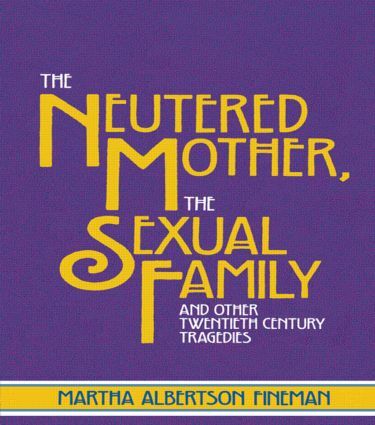 The Neutered Mother scrutinizes the definitions of family and mother throughout the volume while paying close attention to issues of race, class and sexuality. In addition, Fienman convincingly contests society's refusal to dignify, support and respond to the needs of caregivers and illustrates the burden they must bear due to this treatment. This book is a crucial step toward defining America's most pressing social policy problems having to do with women, motherhood and the family.